A three-month-old kitten is counting his nine lives after surviving a terrifying ordeal in Melbourne’s Burnley Tunnel. 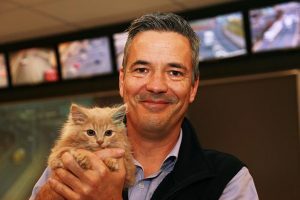 On Tuesday 14 June, motorists noticed the kitten in the 3.4km-long tunnel and reported it to the CityLink control room. With three lanes and speed limits of up to 80km/h, the tunnel is a potentially deadly place for any animal, let alone a tiny kitten. 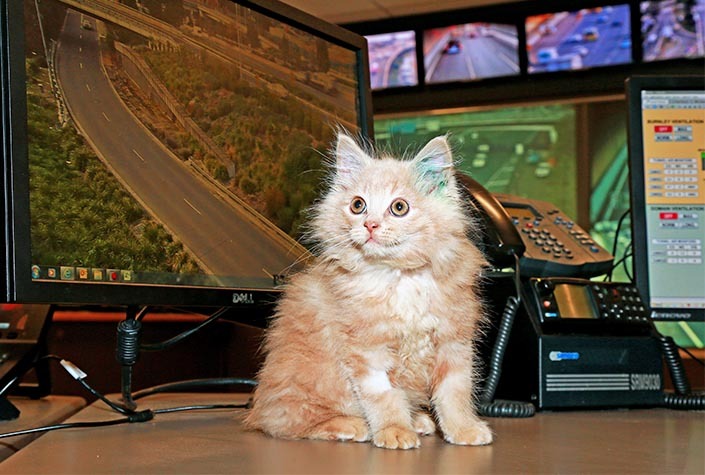 Thankfully, our friends at CityLink rescued the elusive kitten just after midnight. Watch the heart-stopping CCTV footage here. Our maintenance crew managed to rescue the kitten safely and brought him back to our control room where we kept him warm and called The Lost Dogs’ Home,” said Andrew Eckersley, CityLink Road Operations Manager. The kitten was very scared when he came into our care, which was not surprising, given his frightening ordeal. Fortunately, he had not sustained any injuries and was in good health, but he was covered in mud and dirt. After an initial wash and a vet check, our cattery team has been working with him every day to help build his confidence. They thought it was only fitting that he was named Burnley. “With lots of TLC, Burnley has really started to come out of his shell – he loves a cuddle and purrs very loudly to let us know,” said Dr David Cunliffe, General Manager, Animal Welfare and Customer Service at the Home. Like most cats that come into our care, Burnley was not microchipped and had no identification. He was held for eight days to give an owner the chance to find him. Nobody came forward, so Burnley is now looking for a loving new home. Burnley is one of almost a hundred cats and kittens currently up for adoption at The Lost Dogs’ Home. While he does have an amazing tale to tell, we think all of our cats are equally as special as he is, and will give you just as much love and companionship,” said David. We can only guess how Burnley made his way into the tunnel, but we are grateful to CityLink for rescuing him and giving him the opportunity for a safe (and less adventurous) life in a new home. 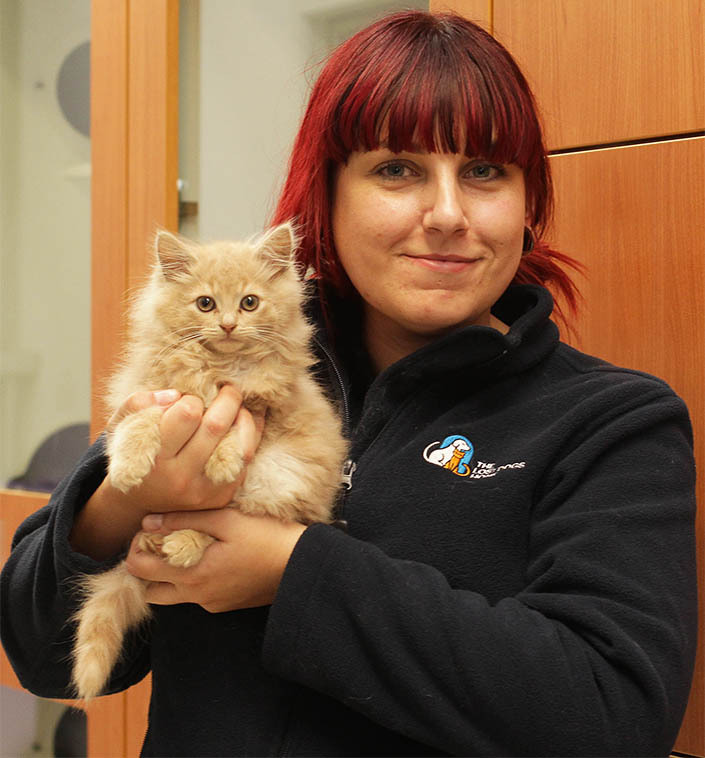 Amazingly, this is not the first time a kitten has been rescued from the Burnley Tunnel. A 10-week-old kitten named Dodge also had a miraculous escape back in 2013. “It’s not what we expect to see in our tunnels, but we’re just glad Burnley is safe and well,” said Mr Eckersley. Registrations of interest to adopt Burnley have now closed. We have lots of other wonderful cats and kittens looking for new homes, so if you’re looking to adopt, these fantastic felines would love to meet you! View their profiles here.